Yes, election time in the Philippines feels like and looks like a fiesta celebration. Just take a look at the picture below. 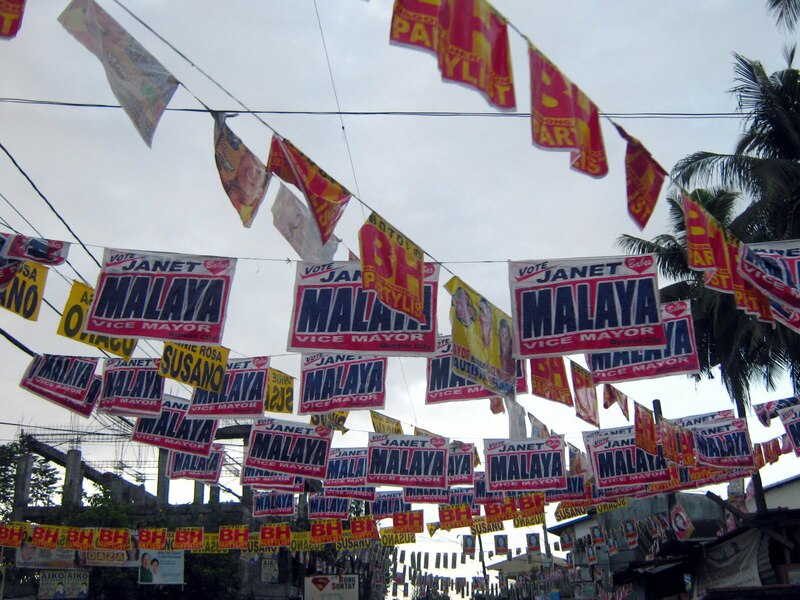 This was taken in our barangay where elections banners fill the streets. I know that there is a resolution in Quezon City which prohibits candidates from posting their posters and campaign materials in major roads, but look at how bad it iswhere it allowed! Can you imagine what will happen if these things were clog our drainage? And who will clean after them when this is over? Somebody ought to create a law that they should clean after themselves once the election is over. But I guess that is asking too much already in my country where laws are not taken seriously. Hay!